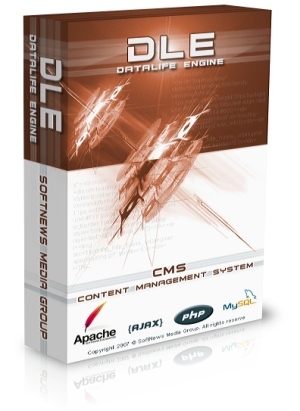 DataLife Engine Description » DataLife Engine (DLE) — a content management system. Official site. DataLife Engine is a multifunctional Content Management System. Thanks to a very powerful news, articles, and users management system, DataLife Engine is designed primarily for the own mass media websites and blogs creation on the Internet. A wide variety of basic features of the engine, which are initially integrated into it, allow DataLife Engine to step further ahead of its nearest competitors in terms of the website creation. And thanks to the precise and sophisticated core structure that minimizes the load on server resources DataLife Engine is able to easily work with projects with a large attendance keeping the server load on a minimum level. The flexibility and ease of customization and integration of custom design allow you to study and understand the structure of templates and deploy your own websites as soon as possible, without any additional material costs. Advanced AJAX technology allows to reduce both traffic and resources on your server and your visitors’ traffic, not to mention the ease of use of this technology on the website for your visitors. Due to increased attention to the security of the engine, to its convenience, and to its dynamic development, more than 90 000 portals around the world, that are successfully use it in work, have already spoken out in favor of DataLife Engine. Much attention is paid to the search engine optimization, which allows to lead more visitors to your website. - Different information can be shown to registered users and unregistered users. You can find the description of all the features of the engine, as well as guidance for its use and configuration in the documentation which comes with the distribution kit of the engine. We also recommend you to try the trial version of our product.